Pop Goes The Movies: CHARIOTS OF FIRE | Warped Factor - Words in the Key of Geek. With this year's Olympics in Rio recently having drawn to a close, time for Pop Goes The Movies to get sporty! 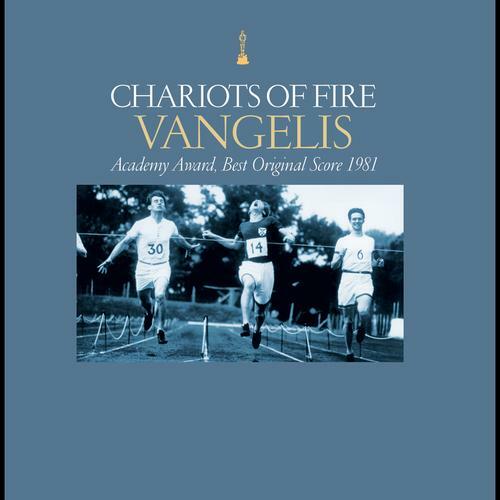 Pull on some trainers & get that Ipod straining to the sounds of Vangelis as we look back at his music for Chariots Of Fire (https://www.youtube.com/watch?v=CSav51fVlKU), The 1981 film has its roots in fact - transporting the viewer back to 1924, a year in which the Games were hosted in France. The man born Evangelos Odysseas Papathanassiou would snaffle himself an Academy Award for his work on the music, which became embedded in the public consciousness all over again following its use in Danny Boyle's London 2012 opening ceremony. Bizarrely he also appeared as a panellist on Shooting Stars, at least as played by Matt Berry! "I think the music is the most important part of a film. But it is an afterthought due to the ignorance and negligence of directors and producers. I'm not talking from the musician's point of view; I'm not biased. Because I see it every day, I believe strongly that music has a fatal power to change the existing situation and image." And the music itself marked a sea change in film scoring as synthesiser was its prominent instrument, electronic music gaining a foothold. American Film set out an idiots guide to the cinematic interloper for those without an understanding of just how big a deal this was! "Essentially, it's a musical computer played both with a keyboard that allows a pianolike performance and with a series of knobs and buttons that permit all sorts of variation in pitch, tone. and decay. It suggests electricity turned into music. The synthesizer can imitate a large number of other instruments - and still add its own distinct personality. But it can also make sounds all its own. In particular: pulsating beats that seem to echo the human heart; low, buzzing sounds that for bone-shaking vibrations beat conventional instruments like the bass viola; and high, screechy tones rivalled only by the upper registers of violins. Some of the synthesizer's effects can be duplicated by the electric guitar and other instruments, but none has the same range or flexibility." Flexibility taken advantage of by Vangelis, here working on his first film score. His father, to whom its dedicated, was a Greek sprinter himself! 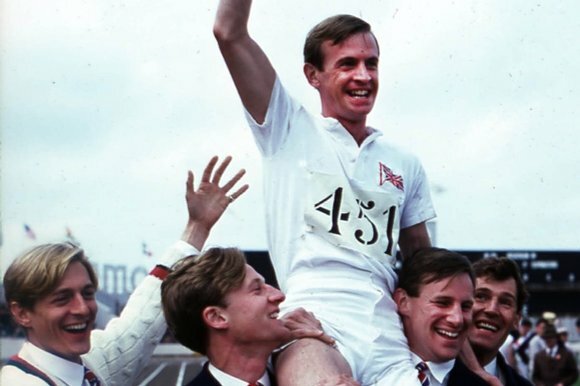 And Great Britain finished a not too shabby third in the overall medal table back in '24, helped along by runner Eric Liddell, a devout Christian played by Ian Charleson in the later screen treatment of his exploits. The Scot's style didn't meet with universal approval, as The Guardian would recall ahead of London 2012. And we cannot possibly forget Harold Abrahams, portrayed by Ben Cross. The culmination of a dream is played out from his perspective within the narrative, a fact not lost on Runners World. "Abrahams had been harbouring a lifelong ambition to outdo his brother Sidney, a former Olympic long-jumper, and his chance to realise this dream was so near, yet so far. No wonder he described this extended wait as the worst of his life. Born an English Jew to a doting mother and bullying father, Abrahams had never quite known inner peace. His father’s wealth had bought Abrahams a privileged education. But the anti-Semitism he suffered at Repton, his public school in Derbyshire, had left deep scars. As the clock slowly ticked towards 7pm, Abrahams was ushered out of GB dressing room number four and along a corridor into a subterranean tunnel labelled ‘Entrée de la Piste’. The cool walls and their earthy smell were somehow comforting; but the peace didn’t last. He stepped up into a blaze of sunlight and saw 10,000 people pressed close to the cinder track where the final was to be contested." And a more technical perspective is offered by the official website of Nemo Studios, Vangelis' own creative hotbed! "He was usually assisted by a studio engineer, who supervised the operation of the tape machines, carried out various mixing desk duties and synchronised video playback on film scores. The main instruments on ‘Blade Runner’ were the same synthesisers Vangelis was using at the time for all of his other musical projects. These included Vangelis’ signature instrument, the Yamaha CS-80 analogue synthesiser, with its sounds of brass, lead horns, deep bass and various ambient effects - all these sounds featured prominently on the film’s soundtrack. The Roland VP-330 VocoderPlus synthesiser was used for the swirling and uplifting strings, and the Rhodes Fender electric piano provided the sweet and nostalgic-sounding vintage piano. The other instruments which were featured included: Sequential Circuits Prophet 10, Yamaha CS-40M, Roland Jupiter 4, Moog MiniMoog, Roland CR-5000 CompuRythm drums, Simmons drum kit, RSF Kobol Black Box and the Roland ProMars Compuphonic." Quite rightly, according to Classic FM, they share star billing with those acting out the events they're intended to supplement. "Composed in 1982 and presaging the ambient music genre that would follow in the wake of house beats by almost a decade, Vangelis's music perfectly captures the mood of the dystopian, rain-lashed Los Angeles in which the film is set. Evocative and seductively melancholy, Vangelis's music is as much a star of the film as the iconic figures of 'Blade Runner' Harrison Ford, uber-replicant Rutger Hauer and the seductive Daryl Hannah." Whereabouts it comes in the medal table is down to you, our judges..